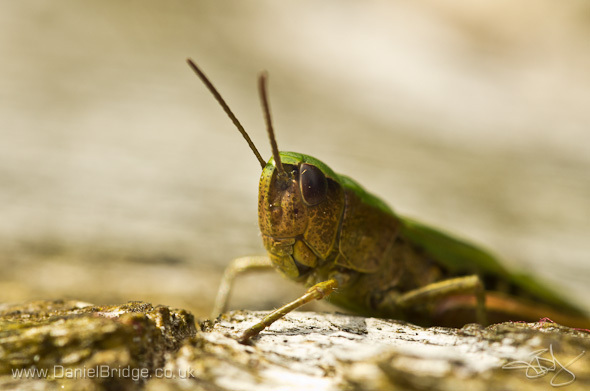 Some shots taken during my last Macro workshop at Hanningfield Reservoir in August, when we found a particularly helpful Grasshopper, which seemed intent on posing for us. Pentax K-5, Sigma EX 105mm f/2.8 macro lens @ f/6.7, 1/60s, +0.5EV, ISO400, handheld. 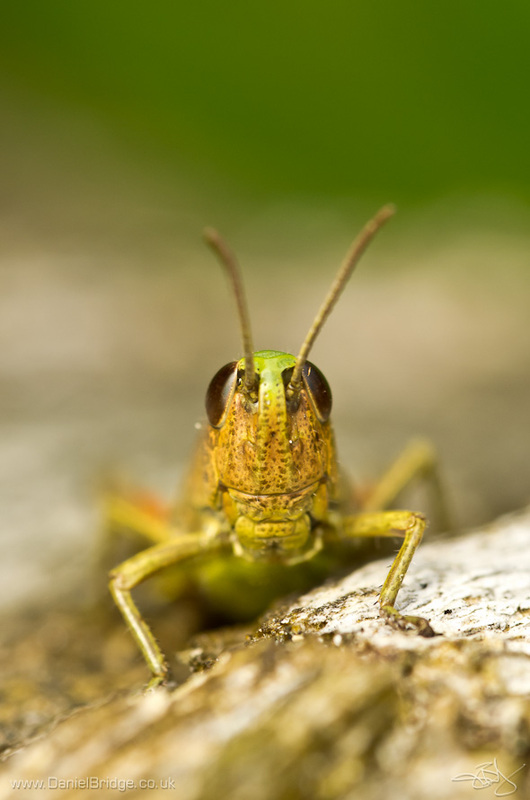 Pentax K-5, Sigma EX 105mm f/2.8 macro lens @ f/6.7, 1/180s, +1.0EV, ISO400, handheld. 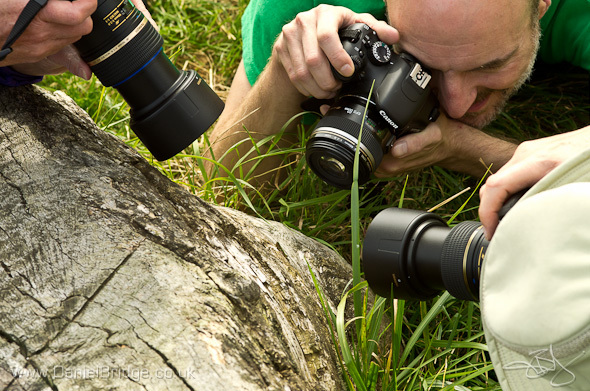 And just to show how settled it was, here's three of the workshop participants shooting it at once! Pentax K-5, Sigma EX 105mm f/2.8 macro lens @ f/6.7, 1/250s, +0.5EV, ISO400, handheld.